HOLIDAY HOMES, HOUSES & COTTAGES TO RENT IN THE LAKE DISTRICT - CUMBRIA, ENGLAND. 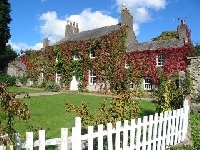 Welcome to our selection of holiday homes to rent in the Lake District - Cumbria, England. Cumbria is home to the Lake Distict, which is England's Largest National Park. It is an area so stunningly beautiful and is a welcome sight for many visitors every year with its lakes that offer the deepest of Wastwater to the longest and most popular of Windermere. There are many undisturbed areas such as Haweswater, which was once a village called Mardale that was vacated and sank to provide a reservoir for the thirsty population of the North. There are many walks including Scafell Pike, which is the highest peak in England. The great poet William Wordsworth, an historic notary, published his 'Guide to the Lakes' in 1810. Its proximity to the Scottish border also provides Carlisle Castle; the bastion of the border area which has seen many battles between the Scottish and the English. It also houses antiquities and is in close proximity to other ancient constructions such as Hadrian's Wall, Birdoswald Fort and the Tullie House Museum. Besides the history of the old we also have the history of the unknown that position themselves between the grey areas of fact and fiction. From the legendary castle of Tintagel in Cornwall in the further reaches of the South of England, a tale of Arthurian legend made its way to the North of England. Hutton in the Forest is believed to be the home of the Green Knight who proposed a gory deal to Sir Gawain who accepts. This residence is surrounded by woodland in the mystic forest of Inglewood. Besides the natural beauty of this region there are also other facilities that will have the adrenalin running: Grizedale and Keswick have Go Ape facilities that have rope bridges, tarzan swings and zip slides rising 40 feet above the forested floors that provide excellent recreation. Keswick also has a climbing centre that besides offering climbing and abseiling, gives us the opportunity to take part in biking, ghyll scrambling, canoeing and raft building. Recreation presents the need to rest and there are many taverns that serve excellent beer. CAMRA awarded public houses that serve real ale with excellent food that also present the chance to try local food such as the spirally served Cumbrian sausage. There are many museums that feature the mining area of the region and exhibitions such as those presented by Jonathan Stamper and other artists at High Head Sculpture Valley Park in Penrith. Looking for self catering holiday accommodation in the Lake District - Cumbria?, then below is a selection of houses, holiday homes, flats and holiday cottages in the Lake District - Cumbria that can be rented direct from their owners. You can either click on each listing for further details or you can use our search engine on the left if you are looking for something in particular. Here you can find useful links for attractions and businesses in Cumbria including links to Windermere Lake Cruises, Ullswater Steamers, South Lakes Wild Animal Park, Furness Abbey and the Lakes Aquarium.